For Martha Wilson and her collaborators at the Franklin Furnace Archive in New York, the avant-garde spirit is alive and well, and as relevant as ever. The avant-garde is dead — isn’t it? Rooted in a French military term referring to an army’s front-line “advance guard,” in the context of art history, “avant-garde” came to mean “trailblazing,” “rule-breaking,” and “forward-looking.” With regard to modern art, whose origins are generally traced back to the latter half of the 19th century, numerous avant-gardes, routinely emerging with tradition-busting fervor, contributed to the momentum of the modernist impulse. Now though, from an early-21st-century vantage point, is it accurate to say that such movements have become art-historical artifacts — completed past chapters of a story that ended with paint-flinging Abstract Expressionism? Or with cool-detached Pop? Or perhaps still later, with the final elimination of the physical art object itself by a certain strain of Conceptual Art? For Martha Wilson — artist, free-speech activist, and veteran arts administrator — and her collaborators at the Franklin Furnace Archive in New York, the avant-garde spirit is alive and well, and as relevant as ever; together, they’re committed to making sure it has the support it needs to continue shaking things up for years to come. Since last spring, the organization has been celebrating the 40th anniversary of its founding in 1976. 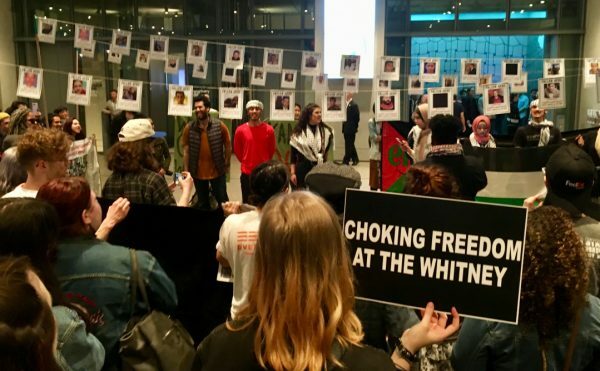 Its program of commemorative events will soon culminate in a benefit art auction, in which bidding has already begun on the Paddle8 website; it will end in a live auction at Metro Pictures in Chelsea next Saturday, April 22. Various artists and galleries have donated works to the sale, which will include pieces by John Ahearn, Judith Bernstein, Ana Mendieta, Carolee Schneemann, David Wojnarowicz, and Wilson herself. Franklin Furnace’s mission might sound like something of a contradiction — providing institutional support to artistic-activist forces whose purpose, implicit or explicit, is to tear down social-cultural institutions while proposing new ways of looking at, thinking about and engaging with the world. Still, the organization’s history offers a persuasive and often colorful argument in favor of self-styled avant-gardistes charging ahead as well as shoring up their own rear guard by documenting and, in effect, taking the lead in historicizing their accomplishments. 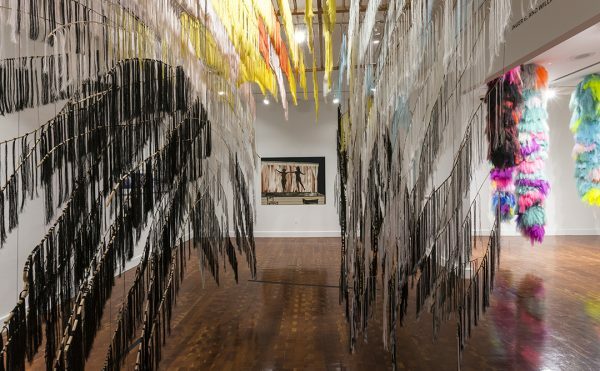 Now, as Franklin Furnace celebrates its big anniversary against a backdrop of a money-obsessed art establishment and a vehemently anti-culture federal government, the meaning and value of its mission have been thrown into sharp relief. Wilson studied at a small college in Ohio and then earned a master’s degree in English literature at Dalhousie University in Halifax, Nova Scotia. She stayed in Canada following her graduation and, in the early 1970s, taught English at the Nova Scotia College of Art and Design. With so-called second-wave feminism (which linked the social-cultural and political inequality of women) and the sexual revolution well under way, Wilson became inspired by the language-based conceptual art for which NSCAD had become a laboratory, with artists and critics associated with the new “idea art” passing through Halifax to present their work at the school. By 1976, Wilson had moved to New York. Intrigued by the diversity of experimental art forms that were flourishing on the fringes of the art-world mainstream, she continued developing her own performance-oriented work, in which, through costume, speech, and behavior, augmented by self-portrait photography, she examined women’s social roles and the idea of self-identity as it was shaped by class-, race- and gender-based values and assumptions. In that same year, along with a group of artist collaborators, she established Franklin Furnace as an exhibition-and-performance space in the street-front loft of an Italianate, cast-iron building at 112 Franklin Street in TriBeCa. 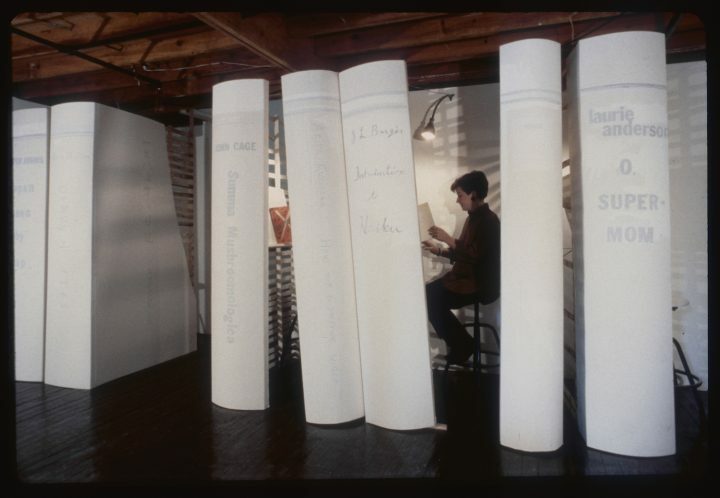 New genres, such as artists’ books or performance art, which were time-based, ephemeral or not easily classified became the focus of the organization’s programming. Just a few years earlier, in 1973, the American art historian Lucy R. Lippard’s landmark book, Six years: The Dematerialization of the Art Object from 1966 to 1972, had been published. It chronicled the rise of the new, often immaterial, idea-based art that had effectively led to the critical demise of familiar, physical, handcrafted art objects. Artists’ books were often related to performance art, whose practitioners understood that if they did not photograph, videotape, film, or otherwise document their performances, they would have no lasting record of such events. And so they would often turn to making imaginative, one-of-a-kind or limited-edition books to serve these documentary purposes. 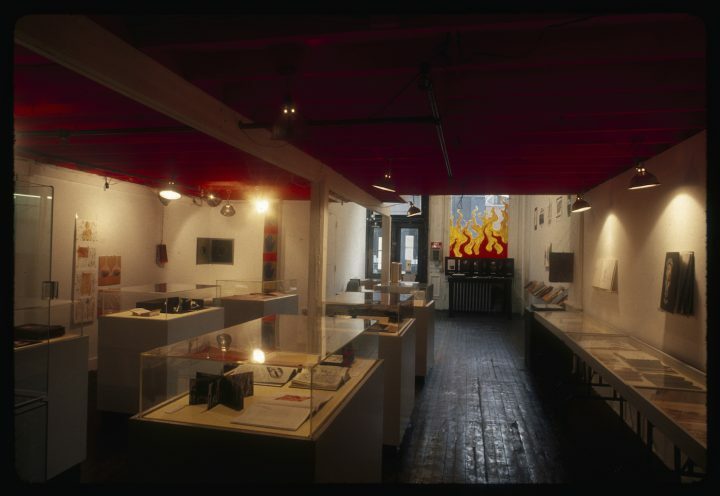 As the AIDS crisis tore through the Reagan ’80s, followed by the heated “culture wars” of the early 1990s, Franklin Furnace became both a showcase and a clubhouse for artists with political messages aplenty, even as it pursued more conventional curatorial projects. “We did shows the uptown museums wouldn’t touch, about subjects in which they weren’t interested,” Wilson recalled. With the assistance of specialist guest curators, her organization mounted revealing exhibitions on such subjects as artists’ books from Japan (in a show assembled by the influential Japanese critic Yoshiako Tono). Its Cubist Prints/Cubist Books show broke new ground in its field and traveled to other museums in the United States. Along with exhibition-making, Franklin Furnace launched its Fund for Performance Art, whose grants enabled emerging artists to produce and present new works in New York. (Its grants-for-artists program still exists today.) Franklin Furnace also developed an education program, sending book artists, performers, photographers, filmmakers, animators, and videographers to work with children in New York’s public schools. 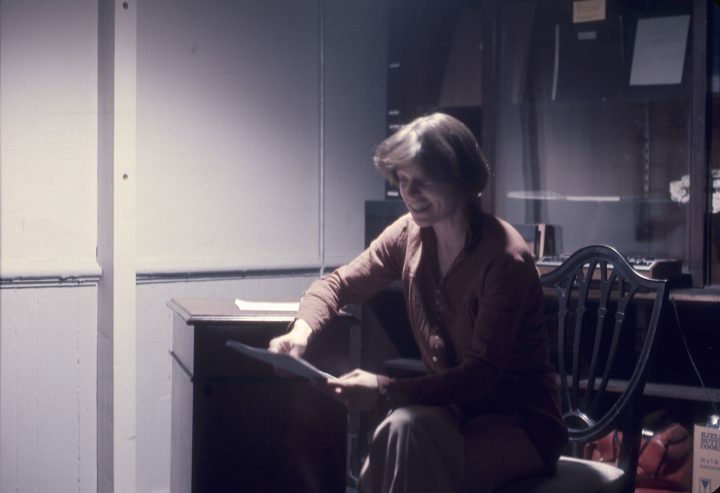 Political pressure may have played a part in an episode in May 1990, when New York’s fire department dubiously forced the organization to close its basement performance space in response to a call claiming the arts outlet was an “illegal social club.” The shutdown prompted Wilson’s team to present performances and events “in exile.” Their first, off-site venue: Judson Memorial Church in Greenwich Village, whose arts-related ministry had made it a censorship-free center for experimental dance, art, theater, and music since the 1950s. In 1997, after winding down its on-site programming and selling its TriBeCa loft, Franklin Furnace launched a website and became an Internet-based presenter of performance art and, in time, an online archive of material documenting its past events. It sold its collection of artists’ books and related research files to the Museum of Modern Art. More recently, the organization became an independently functioning entity under the administrative umbrella of and in collaboration with Pratt Institute. 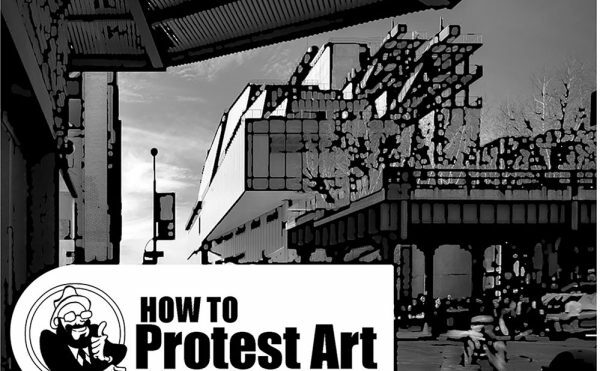 Its offices are located on Pratt’s Brooklyn campus, where the organization, drawing on its archive and considerable research resources, has been developing study programs in performance art and other areas, as well as helping to organize exhibitions. Franklin Furnace @ 40 Benefit Art Sale and Auction will take place at Metro Pictures (519 West 24th Street, Chelsea) on Saturday, April 22, from 5 to 7pm. Pre-event online bidding is now under way at Paddle8.